Our newest series, “Ask the Expert” brings questions from readers to experts in the industry to provide information on vehicle performance that can be immediately applied. We invite readers to submit questions concerning all types of vehicle performance and we’ll find an expert to answer the question. To kick off the series, we reached out to lubricant experts Royal Purple to find out how a lubricant (engine oil, etc.) can affect performance for a towing vehicle. We know many readers tow race cars and other vehicles to tracks and various locations throughout the year, and keeping that tow vehicle in top condition is as important as wrenching on the race car. The answers come from Royal Purple’s Manager of Partnerships & Events, Kyle Neal. Read Part II here about drag racing here, and if you have additional questions, let us know. How do the engine and drive train stresses that a tow vehicle experiences differ from a regular street vehicle? The overall issue is increased load on all components of the vehicle as more weight is being moved by the towing vehicle. With higher loads, all of the drive train components must work harder. The greater loads require higher power output from the engine, which increases the occurrence of metal-to-metal contact in all components. The increased loads also result in greater heat generation in all of the driveline components resulting in higher operating temperatures, which decreases oil life and may decrease component life (especially with respect to automatic transmissions). How does engine oil and other lubricants affect the way a tow vehicle performs? Premium, high performance lubricants can offer greater service life, better wear protection and cooler operating temperatures, thus increasing vehicle durability and useful life. 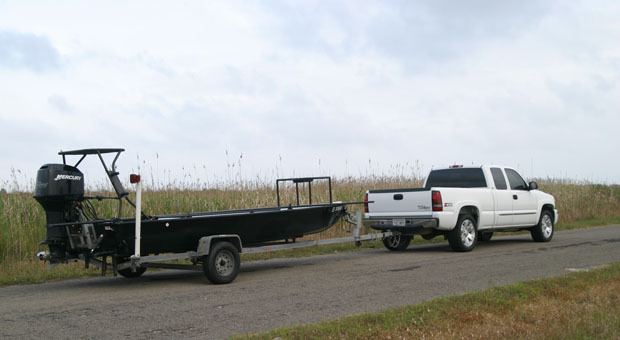 What can be done to help maximize the performance and durability of tow vehicles? Use premium lubricants, keep operating temperatures down (supplemental coolers, extra oil capacity, etc. ), do not load the vehicle beyond rated towing and payload capacities. What should owners look for when choosing the proper lubricants for their tow vehicle? Consumers should choose only premium quality lubricants for all lubricated points on their vehicle. Premium, performance-upgraded synthetic lubricants will offer the highest level of service and protection. The owner’s manual of the vehicle should be referenced for the correct oil type and viscosity grade, and knowledgeable technical assistance should be available from the manufacturers of premium and performance-oriented lubricant manufacturers. If the incorrect or inferior lubricant is used, what potential harm or damage may result? Use of an incorrect or inferior lubricant will likely result in reduced component life and durability, if not near-term failure of the component. Which Royal Purple products are suited best to fit the needs of tow vehicle owners? All Royal Purple products are formulated and manufactured to provide the best possible performance and protection. Max-Gear, Max-ATF and Synchromax oils offer outstanding performance and protection to drive line components and Royal Purple HPS engine oils offer the most protection available in a street engine oil. 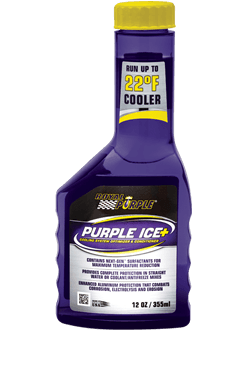 Purple Ice helps optimize the cooling systems ability to remove additional heat while under load. We also offer fuel additives for both gasoline and diesel engines.